Duchy Farm Kennels have a wide selection of wooden catteries all hand made in our workshop. The catteries are designed to give maximum comfort for your cats. The wooden catteries come in various sizes and bespoke sizes can be created for you. Contact us to discuss your requirements, All our catteries are delivered FREE of charge and are installed by our professional team FREE of charge too. 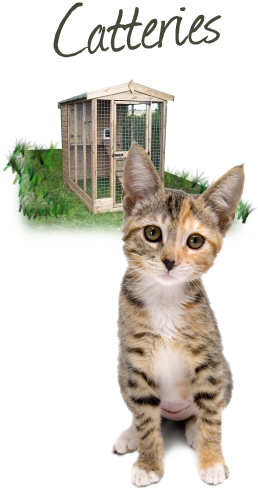 Our catteries have cat flaps and raised sleeping areas.